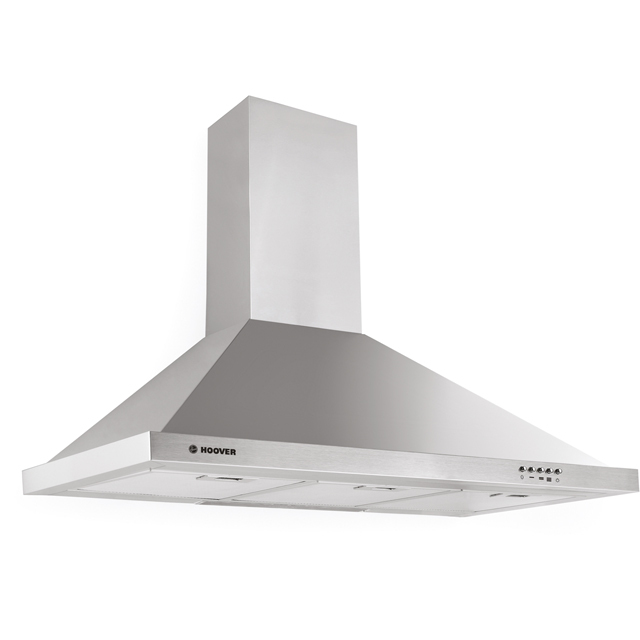 Effortlessly get rid of lingering cooking smells with this chimney cooker hood from Hoover. It sits perfectly above a larger hob or a range cooker, as it’s 90cm wide. Plus, with a maximum extraction rate of 525 cubic metres per hour, it’ll make short work of odours in any medium-sized kitchen. With a medium noise level of 65dB, equivalent to a lively conversation around the dinner table, you’ll have no trouble hearing the next steps on those video recipes. And, with a built-in LED light, it’ll help you clearly see everything you’re cooking – just use the simple push button controls to switch it on.